Get up to 500 FREE spins! Visit website for full T&C's. News alert! 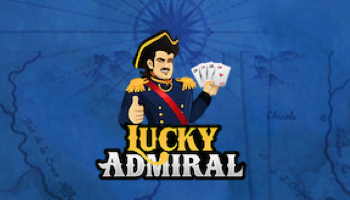 Lucky Touch Bingo is now a member of the Wheel of Slots Network. The site has hit the web sporting brand new Jumpman software and bringing players a chance to win up to 500 super spins with every £10 deposit. 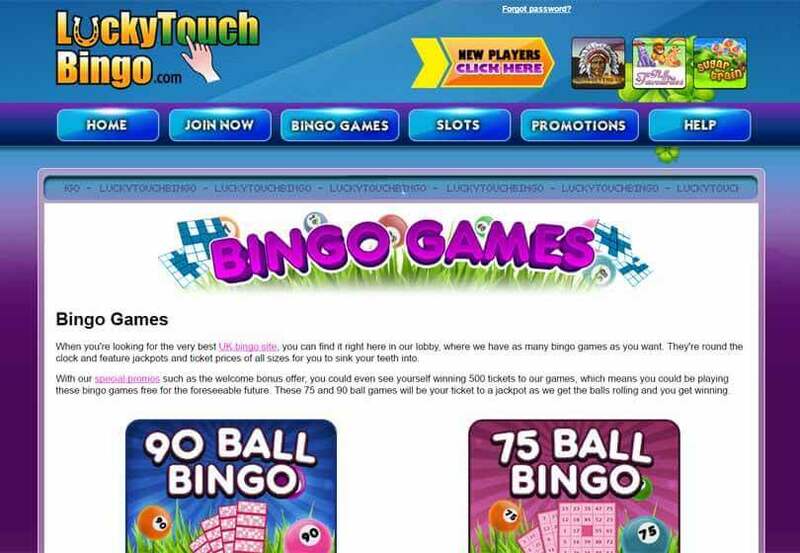 Our lucky touch bingo review has everything you need to know about the site’s brand new update. When you hit the games lobby, you’ll find multiple games of 75 ball and 90 ball bingo running throughout the day. At this site, you need never go more than a few minutes without bingo! In 75 ball games, the winner takes all. Or why not check out a 90 ball game which has 1 line, 2 line and a full house prize up for grabs in every game?  The site now sports the Jumpman Gaming suite of games. Although not the largest selection we’ve seen, it has a good variety of games across several different genres. You’ll even spot a few table games in there. As the site is mobile friendly. you gain access to games on the go. 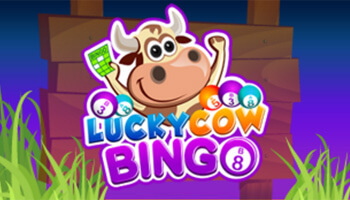 Bingo or spin the reels wherever you thanks to lucky touch bingo on mobile. Now when you sign up to Lucky Touch Bingo, you’ll be rewarded in free spins. As soon as you sign up and deposit £10, you’ll be eligible to spin the wheel of prizes. You could land up to 500 free spins on slots games such as Fluffy Favourites or Irish Luck. These are super spins, which means you could win a whole load from just a single spin! 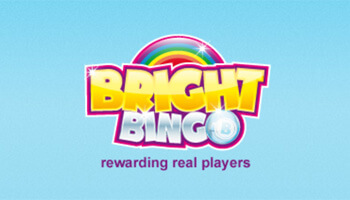 In addition to the spin the wheel promo, the site gives players access to free bingo every single day between 12pm-2pm. Other promotions include the Balance Booster on the 15th of the month and the quarterly Fortune Fountain game. There are plenty of jackpots and fab promotions when you play here! If you wish to deposit or withdraw funds at this site, you must do so using a credit or debit card. The site accepts Visa, Mastercard, Maestro, Solo or Switch. The minimum deposit amount is £5, although to qualify for most of the site’s promotions you must deposit £10. The minimum withdrawal is £30. Only 2 withdrawals may be pending at any time. Withdrawals will pend for 48 hours before being processed. So, if you wish to back out during this time then you can do so. After the pending period, the withdrawal will go ahead and players can no longer intervene. 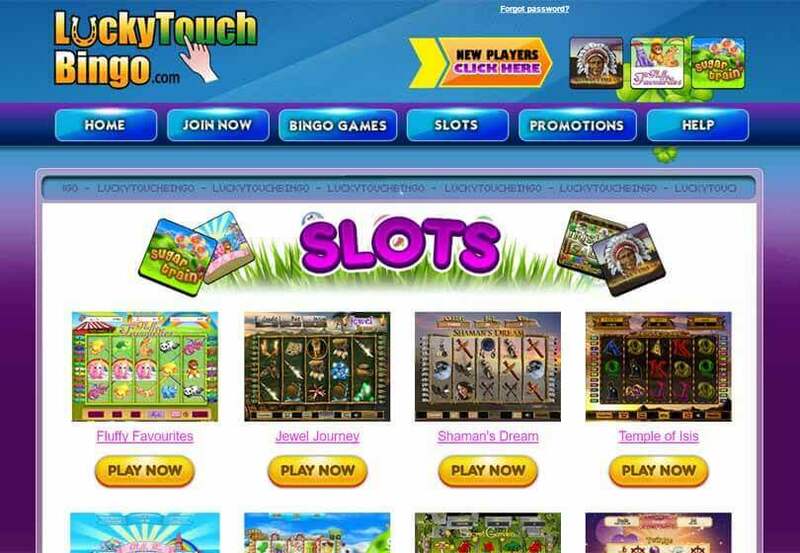 Lucky Touch Bingo certainly comes high up on the list of all-round great bingo gaming sites. The spin the wheel promotion offers players something a little bit different from the average welcome bonus. This new Wheel of Slots site has some great slots and even a few table games to satisfy, casino fans. Unfortunately, e-wallets are not accepted which may make banking more difficult for mobile players. Overall, Lucky Touch Bingo is another solid Jumpman Gaming site.